De’Lon Grant is an actor and singer currently performing on Broadway in the Tony Award nominated hit musical Come From Away. He spent three years touring domestically and internationally as Berry Belson in the Tony Award winning musical Jersey Boys and was recently named Best Leading Actor at the 2017 IRNE Awards for his portrayal of Haywood Patterson in Kander and Ebb’s The Scottsboro Boys; a role for which he also received an Elliot Norton Award Nomination. Some of his other credits include: Frederick Douglass in Douglass (The Wit Theatre, Chicago, IL), Tod Clifton in Invisible Man (The Studio Theatre, Washington, DC and The Huntington Theatre, Boston, MA), Jim in Big River (Lyric Stage Company, Boston; Arkansas Shakespeare Theatre, Conway, AR; The Barnstomers, Tamworth, NH), Achilles in Troilus and Cressida (Actors’ Shakespeare Project, Boston, MA), Posthumous/Cloten in Cymbeline (Actors’ Shakespeare Project, Boston, MA), Gaspard in A Tale of Two Cities (The Wheelock Family Theatre, Boston, MA), Kaine in Dessa Rose (The New Repertory Theatre, Watertown, MA) and Sawyer in Harriet Jacobs (Underground Railway Theatre, Boston, MA). 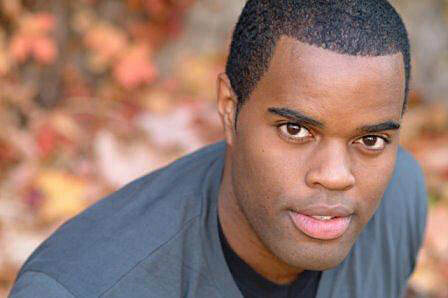 De'Lon holds a Bachelors of Fine Arts in Acting from the University of Michigan and a Master in Music with concentration in Musical Theatre Performance from The Boston Conservatory of Music. In addition to his stage work De’Lon is also photographer specializing in headshot and lifestyle portraits. View some of his portfolio here. To access more of his work visit www.delonphotography.com. "Grant demonstrates that he has lost none of the vividly commanding presence that had made him a rising star in Boston theater, and he’s moving in the quieter moments, too, such as when he leads the strong SpeakEasy ensemble in the haunting “Go Back Home." "De’Lon Grant, whose imposing voice ranges from molasses-smooth to chillingly grave throughout the performance, provides the moral center of the show as Haywood Patterson, who emerges as a sort-of leader of the pack. Constantly looking out beyond the audience and into present time, his glare challenges us to ignore the obvious parallels between now and the Great Depression-era Deep South that allowed this shameful episode to occur." "...De'Lon Grant, really deserves a review all [his] own with terrific performances of multiple characters. [He] established the frenetic energy that carries the show along, and never let it drag." "… a versatile and likable musical performer, Grant invests with a quiet moral authority, bringing heart-rending force..."
"… Grant is deserving of special mention for the full, rich timbre of his voice, as well as the power he brings…"